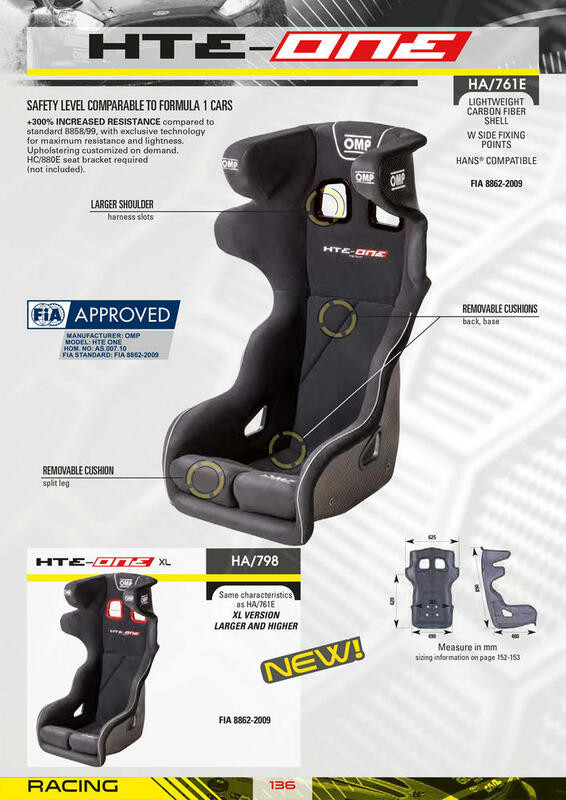 Seat in compliance with the FIA 8862-2009 homologation realized in lightweight carbon fiber shell with exclusive technology for maximum resistance and lightness. Large shoulder harness slots. Back, lateral and base cushions removable, split leg rests to allow maximum individual seating comfot. Upholstered customized on demand. Hans® compatible. XL VERSION HSC system included. 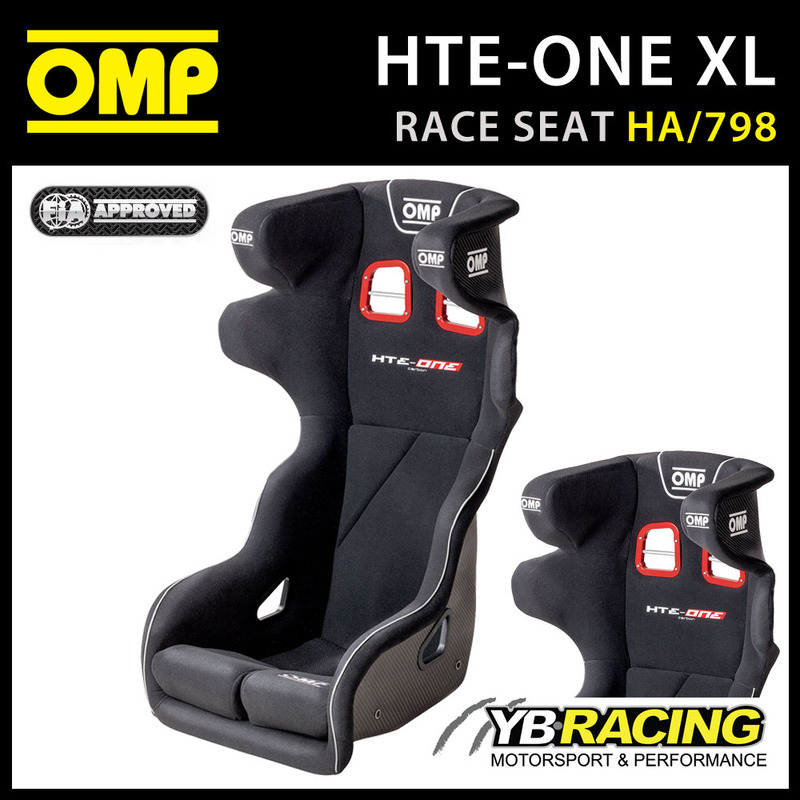 Description: Seat in compliance with the FIA 8862-2009 homologation realized in lightweight carbon fiber shell with exclusive technology for maximum resistance and lightness. Large shoulder harness slots. Back, lateral and base cushions removable, split leg rests to allow maximum individual seating comfot. Upholstered customized on demand. Hans® compatible. XL VERSION HSC system included. Description: XL Larger and Higher. Safety Level Comparable to Formula 1 Cars. +300% Increased Resistance compared to standard 8858/99, with exclusive technology for maximum resistance and lightness. 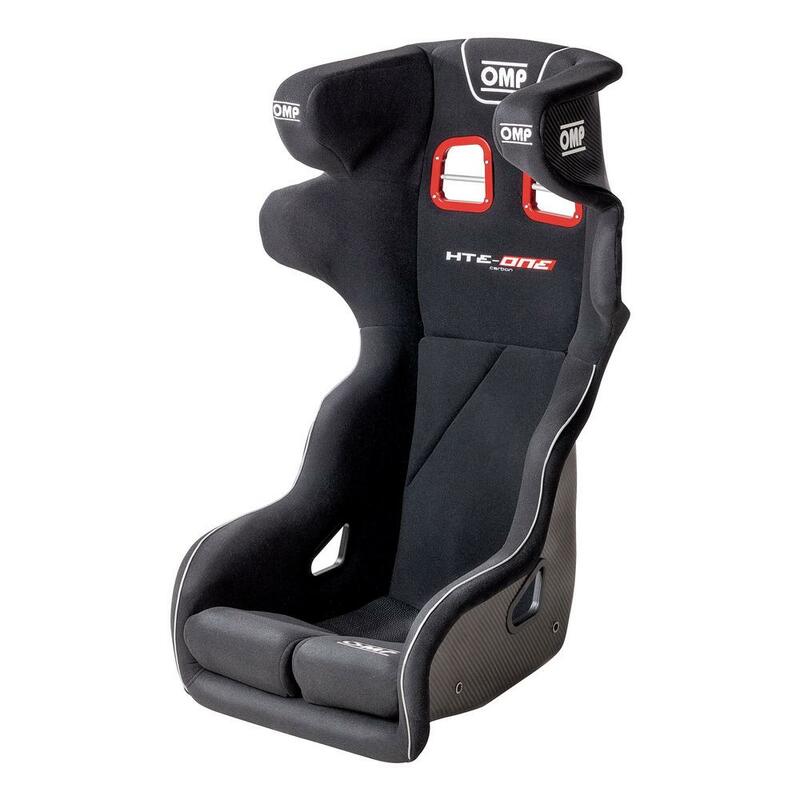 HC/880E seat bracket required (not included).